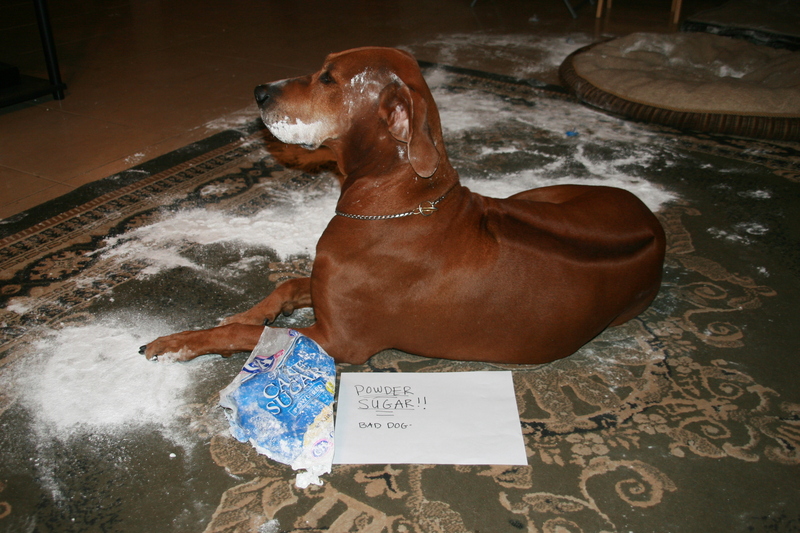 My Rhodesian Ridgeback, Bela Blu Sugar Kane, lives up to her name. She looks so proud because she hasn’t looked in a mirror yet. She’s still thinking there’s no proof linking her to this mess!!! What a beautiful girl! Nope, I don’t see any evidence…must’ve been the cat. Beautiful even with a powder face! Pride has no shame! LOL! It is all BS the Cat framed her. She still has her dignity. Very statuesque. Poor thing! She really thinks she has you fooled! That ridgeback is obviously royalty, so she can do no wrong.